At its height in the 1970s, ITV’s Coronation Street was regularly watched by 20 million viewers. 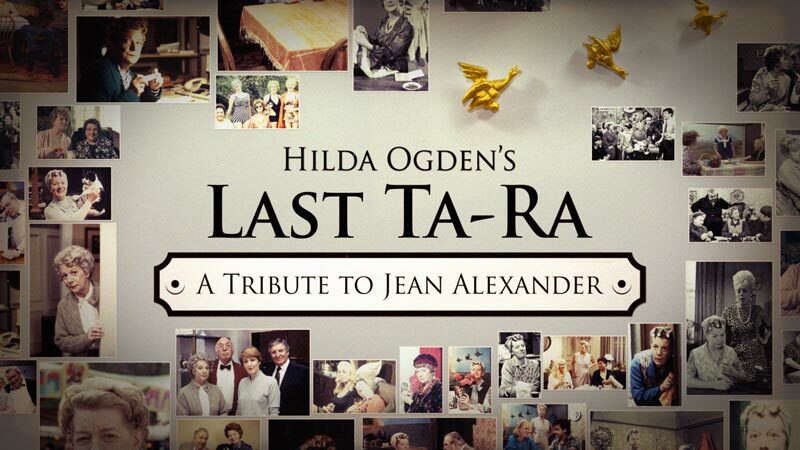 From 1964 to 1987, actress Jean Alexander played one of the show’s best loved characters, downtrodden cleaner Hilda Ogden. In 2016, Shiver approached dock10 for a title sequence to open a documentary celebrating her life. dock 10’s VFX team collaborated closely with Shiver, needing to capture the spirit of Hilda Ogden and Coronation Street itself in a relatively short sequence of just eight seconds. With the documentary drawing heavily on a vast archive of video footage, we proposed using multiple still photographs of Jean as Hilda, nostalgically arranged like a scrapbook. The photos were chosen to combine memorable moments with recognisable images of the character. By arranging these so that multiple pictures appeared on screen at once and having the camera pan across them allowed us to present Jean’s 23-year story in a short time without using fast cuts that would shatter the sentimental atmosphere. To reinforce the Coronation Street connection, the graphics incorporated the show’s distinctive font and design, and the feeling of nostalgia was further enhanced by adding a dust effect and a rich orange colouration that reflected the high saturation of early colour television. Most importantly Hilda Ogden is always associated with the flying ducks on her living room wall and these were used to add a touch of movement and humour to the sequence. An image of the ducks was composited into a shot that saw the middle duck slip out of place as it often did in the show, paying homage to this long-running joke.